On the same day in 1960 that NASA announced plans for a three-man spacecraft named Apollo, disaster struck the American manned space program. One minute into the first flight test of the unmanned Mercury capsule and its converted military rocket, the thin-skinned Atlas booster disintegrated in a spectacular explosion. This past January 28, , disaster struck the American space program once more. One minute into the twenty-fifth flight of the Space Shuttle, the orbiter Challenger and her crew of seven were consumed in a cloud of exploding hydrogen fuel. And in the first hours of postmortem, the question of the future of mankind in space was being raised again. I saw both events as they happened, and will always remember both with terrible clarity — one viewed at the age of six on my parents’ black and white Zenith television, the other at the age of 3 1 in the family room of my own home. They are two of the most vivid memories in a lifetime of growing up along with the Space Age. Kennedy’s prediction wasn’t far off the mark. Twenty-five years ago this April 12, a young Russian pilot named Yuri Alexseyevich Gagarin climbed into a ball-shaped space capsule named Vostok (“East”) for a 108-minute journey into history. And by the end of 1961, four humans had entered space and safely returned–including two Americans, even though the Mercury-Atlas vehicle still wasn’t ready. For the MA-1 disaster did not stop NASA in its tracks. Even that early, there was a forward momentum to the drive to space which made the question “When–,” not “If–.” That momentum was fueled in large part by nationalism, but also by scientific curiosity and by the same adventurism which brought Leif Erickson to the Americas and took Peary to the North Pole. Vostok led to Soyuz and Salyut. Mercury led to Gemini, Apollo, and Skylab. Astronauts and cosmonauts traded records, flying higher, staying longer. Meaningful frontiers seemed to fall with every flight: first woman in space, first spacewalk, first rendezvous. In the minds of many, the high-water mark came in July, 1969, when Neil Armstrong, Buzz Aldrin, and Michael Collins made good on John Kennedy’s 1961 promise of a man on the moon before the end of the decade. 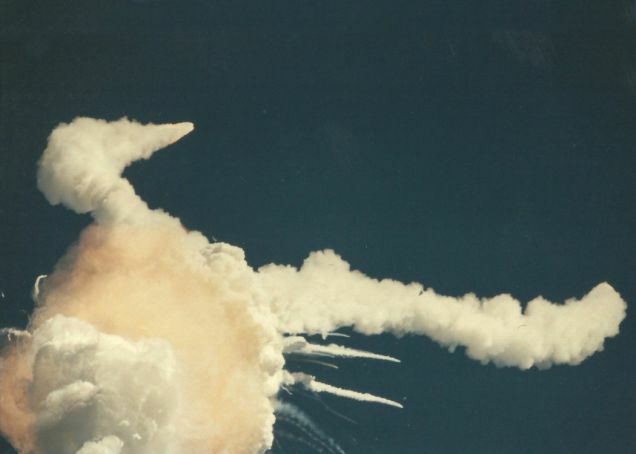 My personal highlight was watching from the press stands at Kennedy Space Center as Columbia blasted skyward on her fourth and final test flight in 1982. But the road into space was bumpy, and the threat of disaster never far away. In 1966, Armstrong and David Scott narrowly escaped death when a thruster malfunctioned, sending their Gemini 8 spacecraft spinning wildly. Four years later, the whole world waited anxiously as the crew of Apollo 13 nursed their crippled spacecraft around the back of the moon and home. In the high-stakes, high-energy world of spaceflight, others were not so lucky. Tangled parachute lines led to the death of cosmonaut Vladimir Komarov in 1967, and three more cosmonauts died in 1971 when their Soyuz 11 capsule depressurized during reentry. 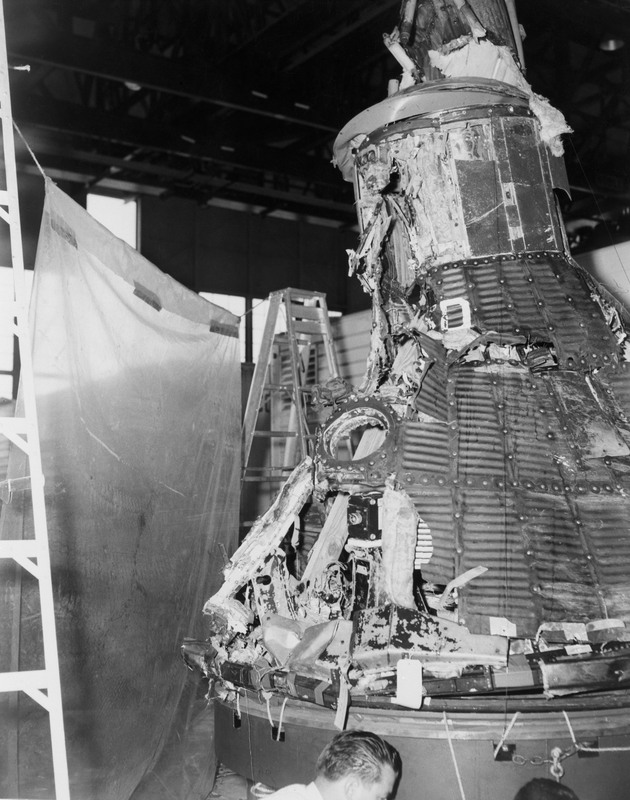 America first learned the price of pioneering from the 1967 fire that killed Apollo astronauts Grissom, Ed White, and Roger Chaffee on the ground. Traumatic as they were, those losses resulted in technical reassessments and national recommitment, not retreat. Tangible benefits were beginning to flow from exploiting space, most notably in improved communications. The pace picked up: the hundredth spacefarer flew in 1982, the hundredth manned mission in 1984. Twenty-five years after Gagarin, a time is nearing when humans will never be absent from orbit. If the present crew of the new Soviet space station Mir (“Peace”) doesn’t start the unbroken string, the next crew likely will. In its own way, continuous occupation is as important symbolically as Gagarin’s flight. When it happens, it will mean that we are no longer visitors. We belong. At present, humanity is pursuing a sometimes uncomfortable mix of military, commercial, scientific, and propaganda objectives in space. What little pioneering is underway is being done by robot spacecraft like Giotto and Voyager. But there is talk again of Mars and the asteroids, and one firm is even boldly taking deposits for a $52,000 tourist excursion to orbit in 1992. Anniversaries are occasions for the heart, not the mind. They are artificial benchmarks — pick your event and your interval. Space enthusiasts have already celebrated a flurry of Silver Anniversaries, starting with Sputnik in 1982. But somehow, this one seems to be the one that counts. And the four out of every ten Americans who cannot remember a time without space travel need to be reminded how far we have come. But even if the shuttle fleet remained grounded forever, the outcome would be the same. For the USSR will carry the torch, or the Japanese, or the European community. To say that the human race needs frontiers is to offer an argument which cannot be proven, but which is nevertheless true. To invoke Carl Sagan, we have dipped our toes in the cosmic ocean. The lesson of the Silver Anniversary is that the water is fine. Onward to the Gold. Author’s Note 2015: I couldn’t have seen the MA-1 explode–no one did, because it was lost in the clouds. I must have conflated it with one of several other early launch failures closer to earth. And the heedless pursuit of parallel structure makes it sound at first as if I considered the losses of MA-1 and Challenger disasters of comparable weight, which they assuredly were not. But I’m keeping this here anyway, because it was the first time I was asked to comment on events as an Actual Science Fiction Writer–one whole novel’s worth.